I’ve tried FreeCol, a free, open source remake of Sid Meier’s Colonization, a couple of times over the last few months, and quite inevitably the recent announcement about Civilization IV: Colonization spurred me to take another look. I desperately want C4C right now, so could this tide me over? “Rest assured that our team will continue working on FreeCol no matter how good or bad the remake turns out”, the official website promises, but I feel really bad that the official Colonization 2 may steal their thunder. I’d originally intended to make this an entirely positive post, but unfortunately I’ve really mixed feelings about it. On the one hand, it’s a splendid accomplishment by talented folk working for free since 2003, and it’s getting better all the time – niggles aside, it’s a fully-functional, modern-Windows (and OSX and Linux)-friendly clone of the original. Some aspects of its interface are superior to its noble forefather, others are inferior, but in most respects you’re looking at the same game running smoothly and easily at high resolutions. On the other hand, I hate it. Well, bits of it. I adore much of it, and I keep firing it up in idle moments despite how much it can annoy me. It’s very much an unfinished work, still only at version 0.7.3 after over five years of development (version 1.0 is scheduled for next June), and to criticise it for anything at this stage is simply childish and unfair. Unfortunately, I’m an especially bitter man this week, so I’m going to criticise it anyway. Most superficially of me, I’m really not a fan of its super-plain, super-serious look – Colonization itself was a lot more cartoonish, while this lacks any visual distinction. The city screens especially seem really dreary. Clearly though, art can come later, and there’s absolutely no worth to my moaning about it at this stage – getting the thing working properly is by far the greatest priority. What’s really stopped me from sticking with it, however, is some weird AI behaviour. The original game was all but brain-dead in that sense. While your colonies’ goal was to achieve independence from the motherland, the other three nations sharing the New World with you didn’t try to race you to the prize. They alsohad a horrific habit of lurking on your land for no good reason, blocking off your units from accessing your colonies, and generally going through all the motions of attacking without the actual attacking bit. FreeCol seems convinced greater bolshiness on their part is the way forward, and perhaps it is, as Colonization to certain extent leant a little too heavily on stockpiling resources rather than actual competition. Unfortunately, the bolshiness happens behind the scenes, so when it shows itself it’s to blindside you. Every time I play, I get maybe an hour or so in, and I’m just starting to really establish my new colonies and get a sense of what my grand plan will be – then I’m suddenly informed I’m at war with someone. It’s not even that they’ve declared war on me – I’m told that apparently I decided that I would no longer tolerate the insolence of the French. I could make a stereotypical joke there, but I won’t, because I’m still so annoyed by this unexpected announcement effectively ending what was shaping up to be a very enjoyable game that I’ve no patience for comedy jingoism right now. There’d been no warning, no diplomacy, no shouting matches, nothing. As I’d not been at all military-minded and thus was ill-prepared for war, the Frenchies don’t meet much resistance when they inevitably invade my colonies a few turns later. I could reload a savegame, but it’ll only happen again, and similarly out of the blue. I could get all my colonists geared towards weapon production and grab my lost towns back, but I can’t be bothered. It’s not how I want to play Colonization. Ctrl-Q and I’m back at my desktop, fuming and unsatisfied. I snarl at it because I like it so much otherwise. It’s so close to realising a remake of a game I like, but it slaps me in the face whenever I start feeling comfortable with it. Again, it’s a work in progress, and a hugely impressive work in progress, but until it better incorporates options for pacifist play (at least until the mandatory massive fight with the motherland come the endgame), it’s not a game I’ll ever finish. I want an easy life, I guess, while FreeCol wants a challenging life. See? I’m a bitter, bitter man. Honestly though, it’s an remarkable accomplishment, and I’m very glad it’s out there. 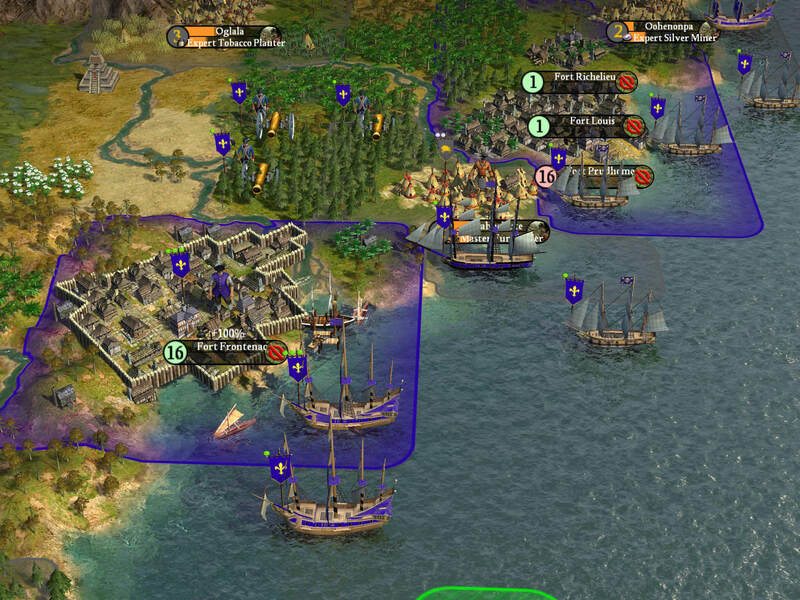 My acidity is more about being impatient to play a finished, polished version than anything else, especially as I’m little concerned from the screenshots that the official remake being shoehorned so obviously into Civ IV’s chassis might compromise how Colonizationy it can be. FreeCol, though, is here right now, it’s free, it’s stable, it’s pretty much feature-complete and unlike its parent it has multiplayer – anyone who ever loved Colonization or Civilization should unquestionably give it a look. But it is a bit mean. Total newcomers should probably stick to the chummier original game in DOSBox, I fear. Tagged with Colonization, free games, freecol.